The heart of my vocational life is to bear authentic and courageous witness. Rev. 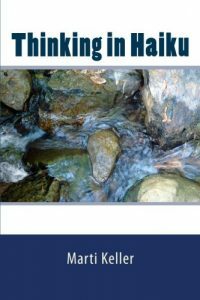 Keller's latest book of poetry, Thinking in Haiku (CreateSpace, 2017), uses the structure and form of haiku to capture both the natural world and contemporary everyday events: scooping coffee, visiting the eye doctor, hanging curtains in a gentrifying apartment. Rev. Keller has come to "think in haiku," viewing and commenting on the world around her in a stripped down syntax, translated into this poetic genre — in what has become a powerful spiritual practice.